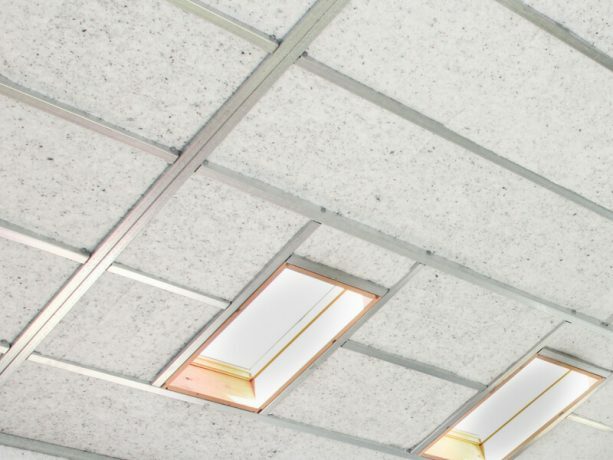 Some ceilings do not have a roof space or attic above them. Mammoth™ Skillion high-density polyester sections are designed specifically for the ‘flat roof’ trend and sloped ceilings parallel to the roof line. Mammoth Skillion doesn’t “loft” or increase in volume over time, ensuring the required 25mm air ventilation gap to the roof is always maintained. The product is stiff – making it very easy to handle – and cuts easily with a Bahco Insulation Saw (available from major hardware merchants). 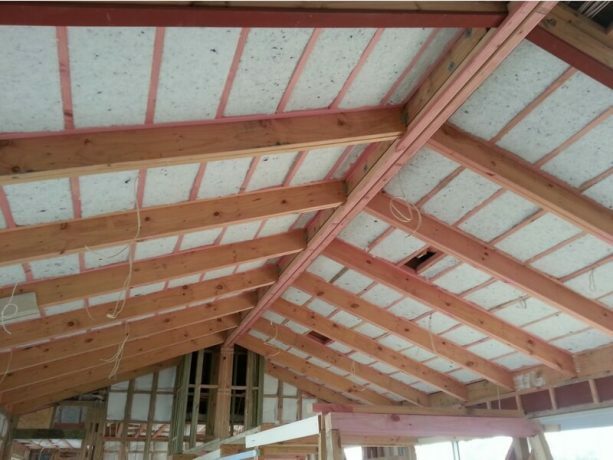 Mammoth Skillion comes in two thicknesses; 115mm (R2.9) or 165mm (R3.2) depending on the climate zone and how much room has been specified for the ceiling cavity. Semi-rigid 100% Airlay polyester sections. 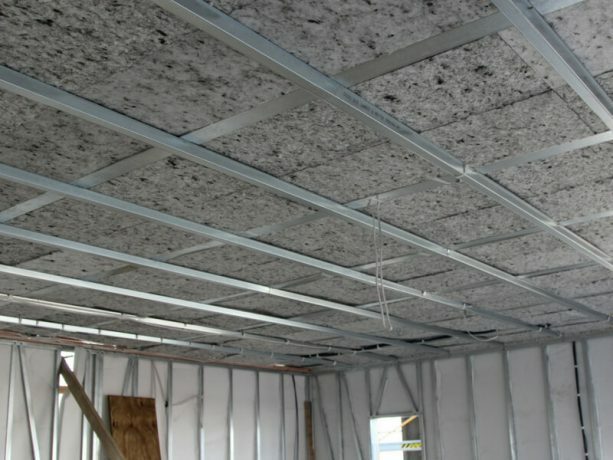 Controlled loft to provided assured air-space to roof lining. 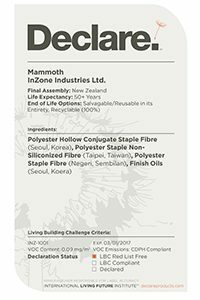 Red List Free – no formaldehyde or pesticides added. Heat bonded – no glues or resins used in manufacture. Safe and easy to work with. Non-irritant and non-toxic – no precautions are required for handling the product. Mammoth Skillion sections are BRANZ appraised.